it covered the entire state of Indiana. brought my umbrella, although it was not raining. ended up buying a pair of tickets for $80. Box 5, Row C. The whole E Penthouse was full. provided great coverage as well. It was hot and muggy. 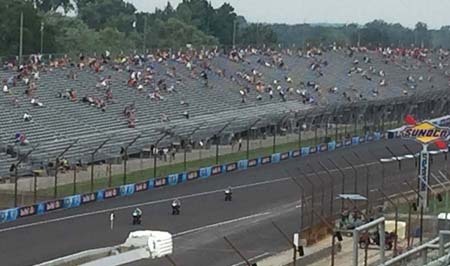 After the Moto2 race ended, I checked out the snack bar. We went back to our seats for the big event. 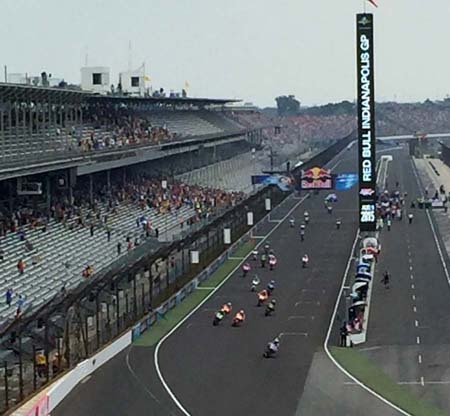 lead from pole sitter Marc Marquez by the first turn. times with Rossi finally getting on the podium for Yamaha. captured the race. Still unbeaten! I could not believe that it NEVER rained! We ran into some friends (Michie, Patrick, his kid and D.R.). E.T. could eat a few. 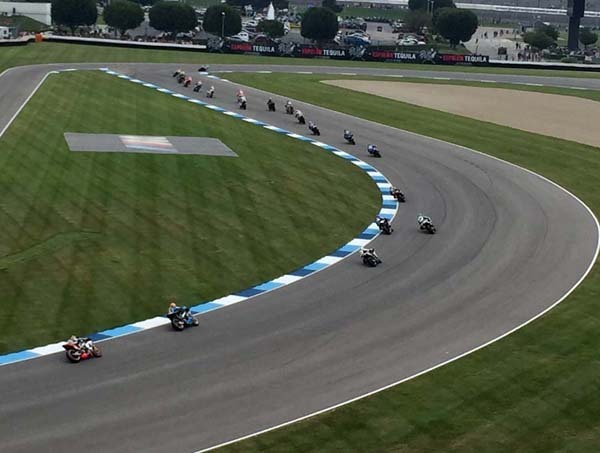 called MotoAmerica Superbike and Superstock 1000.
bikes were on slicks, the race got red flagged. We said our goodbyes and walked back to the tents. I ended up buying a couple Yamaha shirts. some pictures with his iphone 6 plus.